For those who are not yet aware, the popular digital PC gaming platform from Valve Corporation, Steam, is making the jump to consoles in what hopes to be the future of gaming. 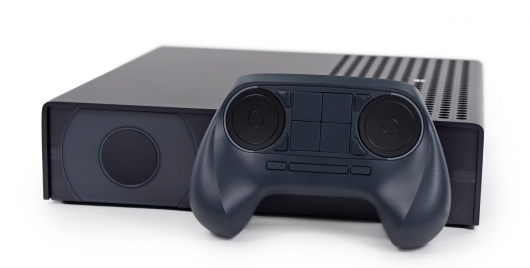 A console for PC gamers with PC graphics that is known as Steam Box or Steam Machine. It won’t be until sometime next year when we can get our hands on one, and it’s not yet known how much one will run you, but early versions of the system have been sent out for testing to current Steam users. One such user has been documenting their experience on YouTube, giving us a solid look at multiple games and what they could look like on the console, as well as what it looks like using the Steam Box controller. Click on over to the other side now to see the Steam Box/Steam Machine and its controller in action, and be sure to share your thoughts on how the system is looking and if you’ll buy one!